In Pakistan the curriculum was revised in 2005-06 and corresponding textbooks for secondary school mathematics were developed and adopted for session 2012-13. This study was conducted to analyze the adequacy of the curriculum and the newly adopted textbooks in instilling the HOTS in students. The research design used was descriptive and in which data was analyzed both in qualitative and quantitative methods. 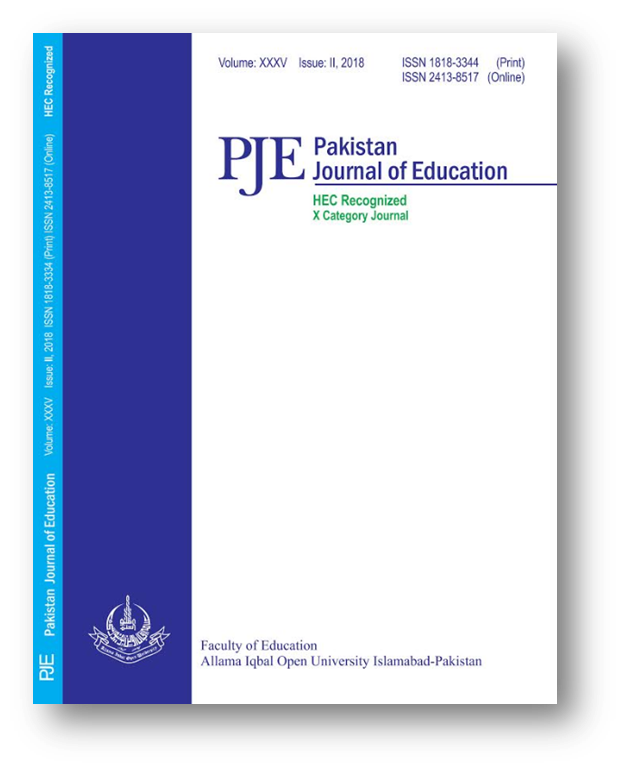 Web Alignment Tool was used to assign Depth of knowledge (DOK) levels to the prescribed students learning outcomes (SLOs) for secondary level mathematics in Pakistan. The outcomes of the study show that the curriculum is predominated by the SLOs of DOK level 1(204 out 280 SLOs). There is no SLO of DOK level 4. There are 70 SLOs of DOK level 2 and only six SLOs of DOK level 3. The entire format of the textbooks is monotonous as it mostly guides the students to learn an algorithm to deal with any SLO. This is followed by an exercise of sums to practice the learnt algorithm without any appropriate learning experience. It is suggested to revise the respective curriculum by adopting fewer, higher and deeper approach. For DOK level 2 and above, appropriate learning experiences should be incorporated in the curriculum and textbooks and the assessments items should not be chosen from the textbooks and provision of suitable facilities i.e. man and material were recommended.